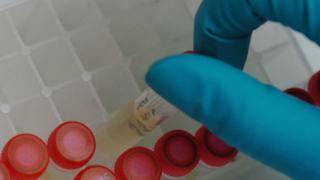 West Lothian Council is to introduce random drug testing and a zero tolerance drug and alcohol policy for employees. The council’s Partnership and Resources Policy Development and Scrutiny Panel heard the plan was to introduce random tests for “safety critical” roles. These include HGV drivers or bus drivers or those who operate heavy machinery – about 1,500 staff. Unions say they have concern that some staff are being unfairly targeted. 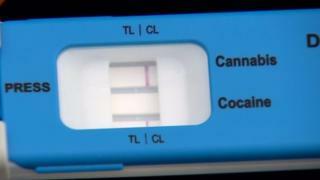 Five councils in Scotland currently operate a “with cause” drug screening policy, including North Lanarkshire Council. Shetland operates a random testing rule for its sea-going staff, while five local authorities in England have adopted or are considering adopting testing. A spokeswoman for West Lothian Council said testing for staff out-with the designated “safety critical” roles would be on a “with cause” basis. That would include a manager’s concern or reasonable belief that an employee was under the influence at work, where an incident had occurred or where there was a complaint or whistle-blowing incident. Tests are to be carried out by an independent agency. Action taken following a positive result would depend on the circumstances, which would be investigated as part of a disciplinary investigation. However, Pat Tedford for the Unite union said: “Why are they singling out only a certain percentage of employees when we state that there is a zero tolerance policy? Julie Whitelaw, head of corporate services, said random testing had been based on risks to employees and risks to customers and relied on health and safety guidance of certain jobs. Drugs routinely tested for include cannabis, cocaine, amphetamines (including Ecstasy), barbiturates and a range of other substances.